The programme was completed with Blackburn College students for 6 weeks, our volunteers provided students with a taste of life in the Civil Service and helped them prepare for the world of work. 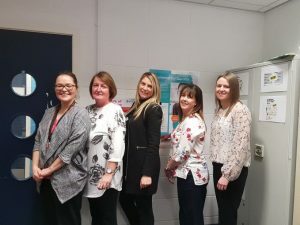 Five civil servants from different government offices DWP/HMRC in Blackburn/Darwen delivered the 6 week programme to a group of 19 students from Blackburn College. The programme enabled the students to find out and learn about the Civil Service detailing the different job roles, careers, departments and options available e.g. apprenticeships. Students explored the Civil Service jobs website and were asked to find a job they could apply for. 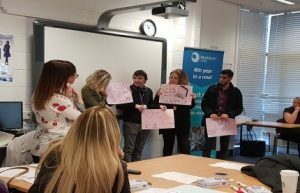 Visits were organised to Blackburn and Darwen jobcentre’s where students were given a tour and a guest speaker gave an insight into the world of digital. The students also visited the 4th Battalion The Duke of Lancaster’s Regiment Army barracks where students were given a tour, discovered what careers were available and learnt about the work of reservists. Students were invited to attend a mock interview at a local jobcentre, to enable them to experience a real life interview and practice the skills of making travel arrangements, time keeping, dressing smartly all the things that are needed when going for an interview. The final celebration event showcased what the students had achieved on the programme, they shared their thoughts by drawing and presenting what they had learnt. It was humbling to see the change in students from the first week, they had grown in confidence and learnt some valuable skills along the way. 11 out of 16 students said that they would consider a career in the Civil Service after completing this programme. The Principal of the college thanked the students and CS Local for the work and time that the project team has input into making this programme such a success. We are continuing the relationship with the college over the next few months by providing some Internships for students at Blackburn jobcentre. The students made a display and Darwen job centre agreed to advertise the college in their building. We hope to repeat the Inspiring Young People programme each year with Blackburn college and help inspire even more students.